When it comes to OSCE exams and presenting cases, practice is essential. In order to develop these vital skills, doctors and students need to gain vital experience. Thankfully, there is now an app to help do this. MyMedicalTutor will appeal to those who are looking to improve their presentation skills. 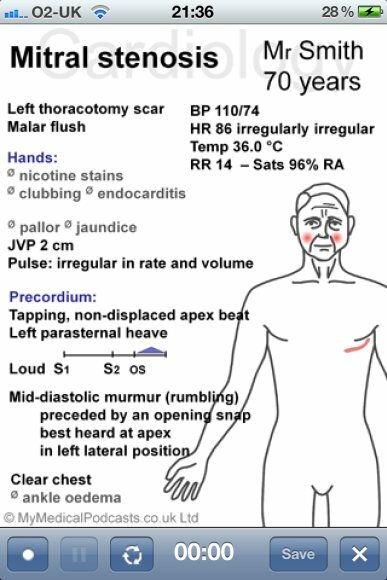 This app contains 40 illustrated cases that are commonly encountered in practical exams at each level from medical finals through to the MRCP. 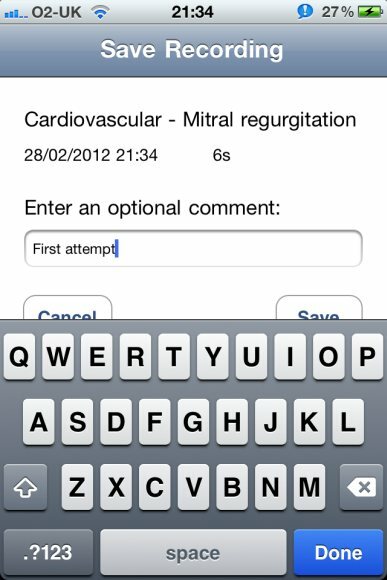 Selecting a case from within the app presents the student with a history and any relevant clinical findings. 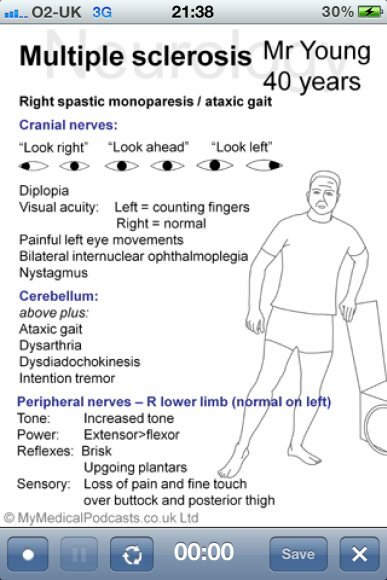 These histories are relatively detailed and contain in a well designed picture/text format, all the information that may be discovered in a clinical examination. The idea behind this app is that users review the case and when they are ready, they practice by presenting the case. This presentation is carried out while users record themselves using the app’s inbuilt recording and playback functions. Each recorded case presentation can then be compared with a suggested answer. In practice, this takes a bit of getting used to but it is interesting to listen to oneself present. Any particular verbal ‘ticks’ can be easily picked up. 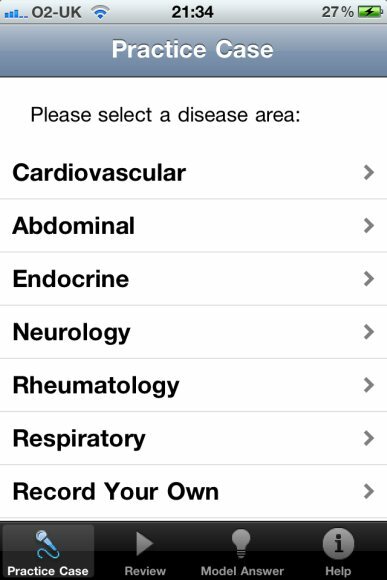 The cases included in the app are detailed; however, there is a noticeable absence of certain specialties e.g. 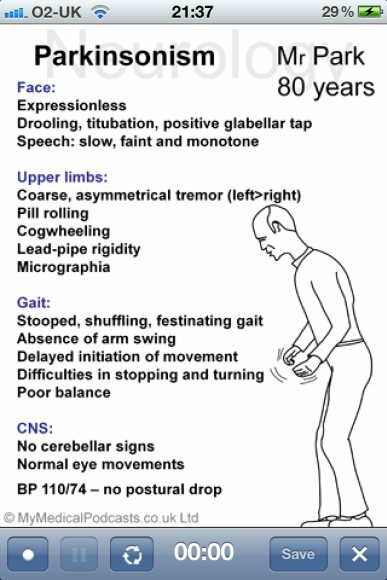 there are very few/no cases related to the urinary, reproductive, or musculoskeletal systems among others. Also, the overall range is relatively limited. Despite this, the cases included are informative and there are useful questions and answers that may be asked by an examiner. The lack of extra cases is frustrating and something that could considerably improve the app. Recording oneself and listening to practice presentations is a great method to develop case presentation skills which can be notoriously difficult to master without prior practice. 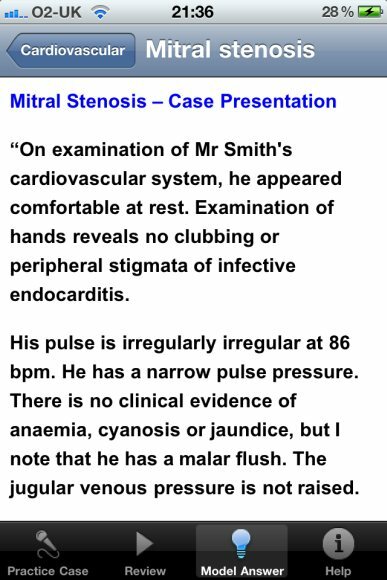 MyMedicalTutor also offers you the ability to record your own case presentations as a matter of course. This feature is welcomed but its utility is limited given the inability to upload your own case notes. Will this app ever be available on android?